Thanksgiving is only about a week away! 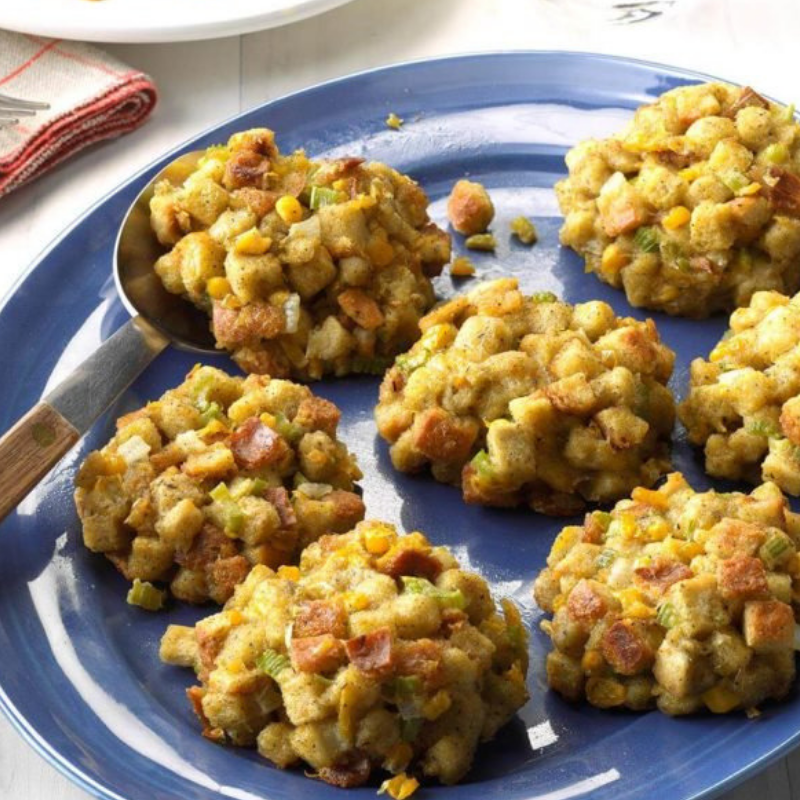 Whether you are hosting family & friends at your home or you are attending a Thanksgiving gathering, we found the perfect quick & easy recipe from “Taste of Home” to add to any Thanksgiving spread. 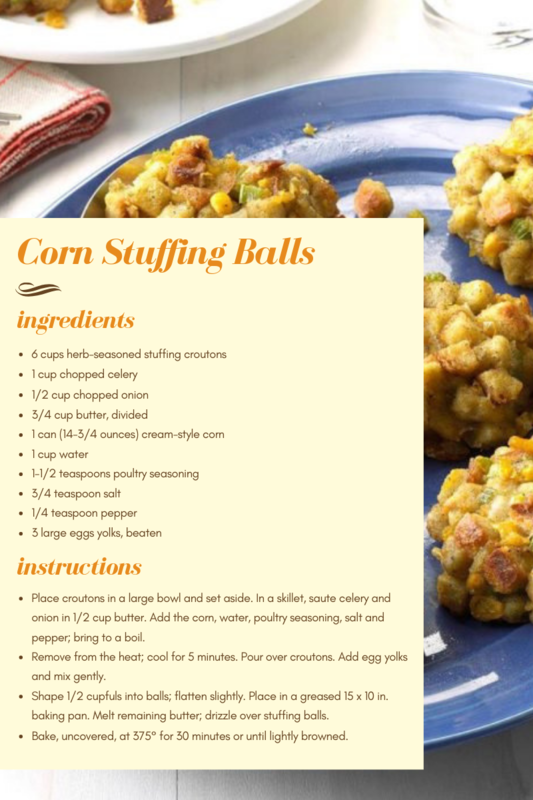 1 stuffing ball: 365 calories, 16g fat (7g saturated fat), 84mg cholesterol, 1233mg sodium, 47g carbohydrate (4g sugars, 3g fiber), 10g protein.